On our second day in Rome we took a trip to the Vatican, the world's smallest country. 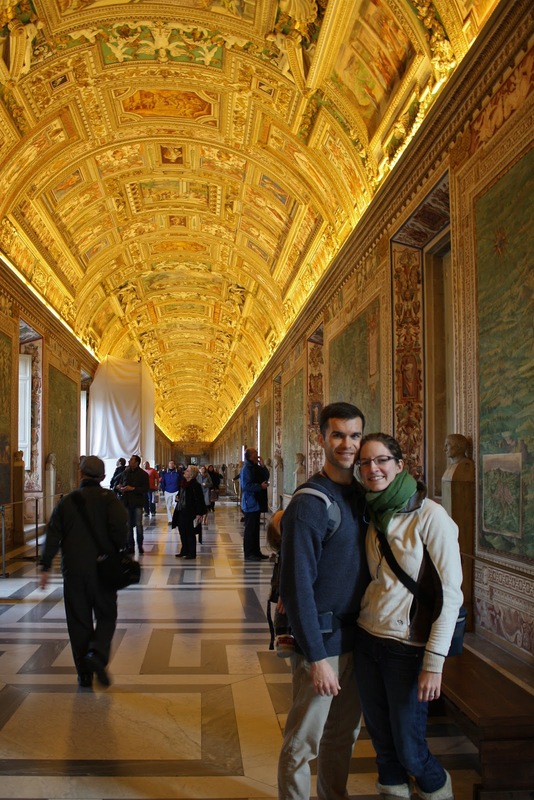 The art and architecture within the towering stone walls of the Vatican amazed me. Some artistic highlights were Michaelangelo's Pieta, Laocoon and His Sons, and of course the magnificent Sistine Chapel (no photos allowed), all of which have been on my bucket list to see sometime in my life. Such beauty and history at every turn! 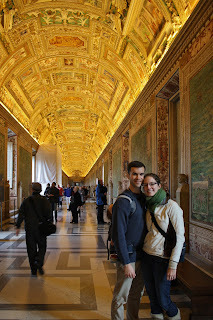 We spent several hours wandering from one highlight to another. 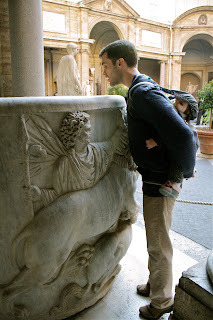 Elliott imagines taking a bath in this gigantic marble tub. My family takes in the sunshine in Vatican Park with the "Sphere Within a Sphere" sculpture behind them. 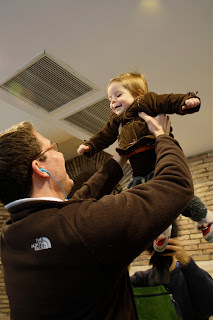 Happy baby, wonderful uncle. A view from inside St. Peter's Basilica. Swiss soldiers in fabulous uniforms guard Vatican City. 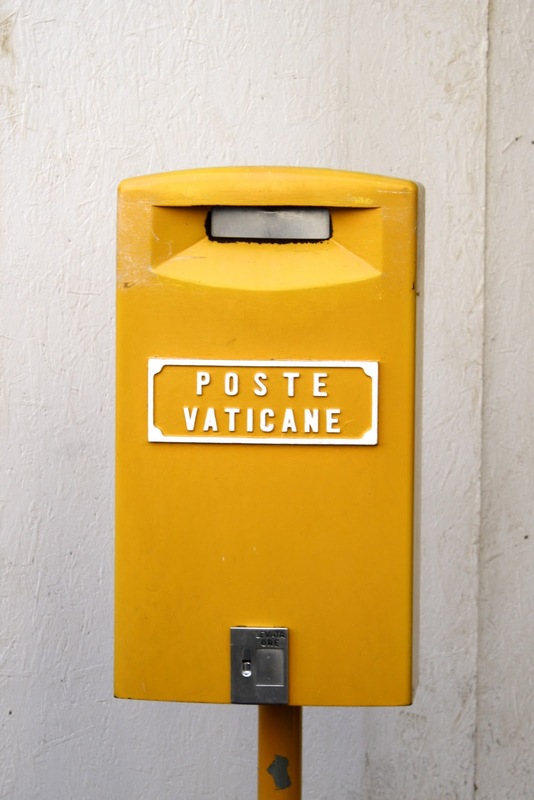 Would you like to send yourself a postcard via the Vatican Postal Service? In St. Peter's Square outside the Basilica. We took a lunch break after our tour. In the restaurant I found the smallest jars of Nutella I'd ever seen. Rome loves Nutella! That afternoon we boarded a train bound for Venice and then drove from Venice to Zagreb, Croatia. Oh the Gallery of Maps was my all time favourite - did you see Hannibal's elephants on one of them. 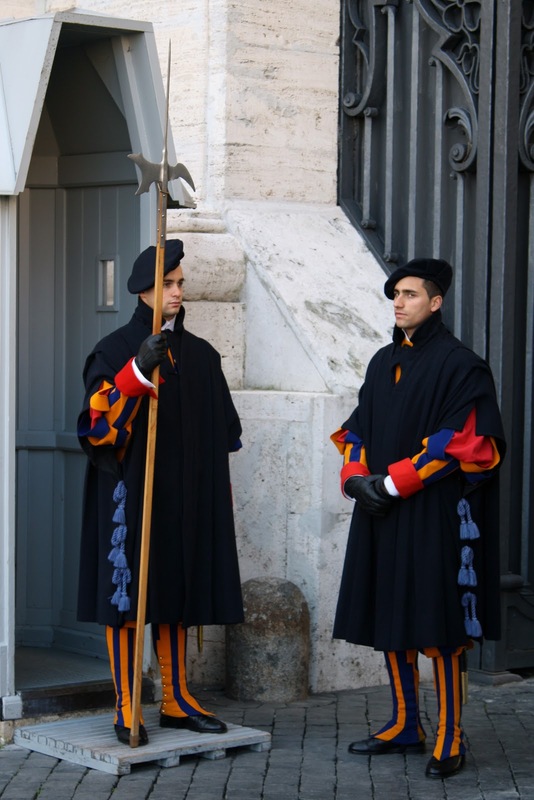 Maybe I'll make it to Rome again this year as friends have just moved 20 miles north of Rome. Ahhh...I just love to look at these photos, read your impressions, and savor the memories. I liked the Sistine Chapel and Michelangelo's 'Creation' primarily because it was the real thing and I've seen it reproduced so many times. The Gallery of Maps was astounding, too.